I was challenged by Gemma from Life is Knutts to complete the 73 Vogue Questions vlog. Thank you very much Gemma for tagging me! I’m still new at this vlogging thing and I thought this would be a great opportunity to gain a bit more confidence in front of the camera. I hope you enjoy and if you like what you see please give it a thumbs up and hit subscribe! I look forward to seeing your videos! 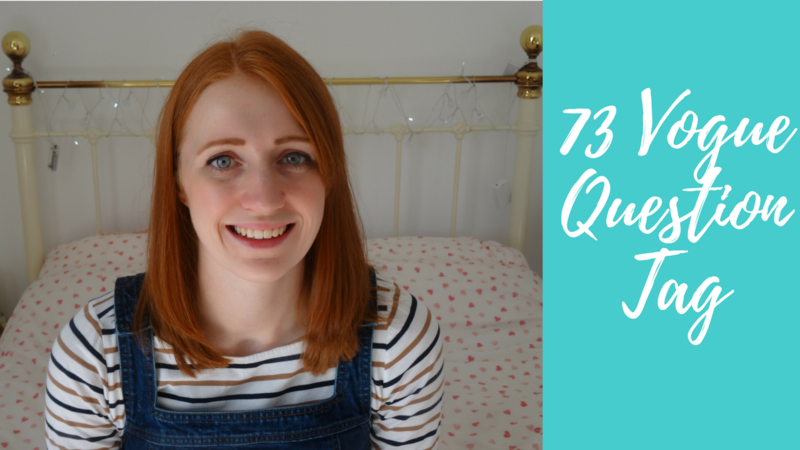 If you fancy doing your own 73 questions let me know, I would love to see your videos!